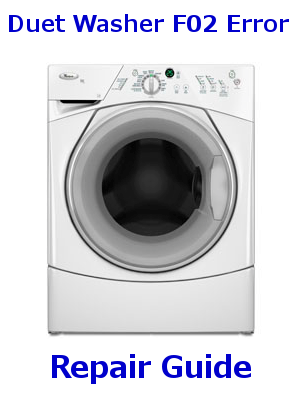 The Whirlpool Duet Washer F02 Error or Sud / Long Drain Error means the washer is not able to drain fast enough. If the drain time takes longer than 8 minutes the water valves are turned off and the error code will be displayed. After 4 minutes of not draining the first code given will be the Sud error then after 4 more minutes the F02 error is displayed. First thing you will need to do is check the pump coin/clean out trap, then you will want to check the hoses of the drain system. 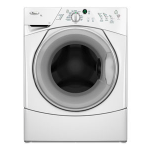 The guide below will walk you through all the steps needed to repair Duet Washer F02 Error and is available for immediate download after purchase. This Repair Guide Applies To All The Models Listed Below In The Tags Section And Many More!